Before the 19th century, drawing and painting were how people recorded the beauty of nature and the important moments of their lives. Later, the invention of the camera allowed for the capturing of more detailed and brilliant images with greater speed and ease. Over the past few years, smartphone photography with innate device portability and advanced technology has quickly become many people's favorite way of freezing and remembering the world. While imaging speed and resolution have significantly improved, it's all been happening on a two-dimensional plane. Now it's time to move to the third dimension. Augmented reality (AR) and holographic projection have spread their wings recently, but it'll be long before they can truly take flight — not until cost and portability issues are improved. HONOR phone designers believe 3D is the trend of future tech innovation, and that mobile phones are the best platform for it. That is how the HONOR View20 came into being, as a daring exploration into this field. HONOR View20 has included a TOF (Time of Flight) 3D sensor in its rear camera system. With the added depth sensing, skeletal tracking, and real-time motion capturing capabilities enabled by this new sensor, HONOR View20 prides itself as a remarkably slim-bodied 3D transformer with functions like 3D Motion-Controlled Gaming, 3D Shaping, and AR Dancing. Before going into TOF 3D, let's take a brief look at 3D structured light technology, another important step in 3D imagery. 3D structured light technology became better known to the general public thanks to its application on the iPhone X, whose True Depth camera uses a dot projector to send out a large number of light dots and then reads the pattern as they reach the target surface, forming a structural diagram. The operating principle of TOF 3D is different. As the name "time of flight" suggests, it measures the time it takes light to travel from the sensor to the target and return, and then calculates the distance in-between using that time and the speed of light (a constant). So when plenty of light is emitted to reach almost every point on the surface of the target, all dots can be connected to create a 3D image. You can also picture it as a face mask, which changes shape as you apply it and obtains your facial information. The "surface light" transmitted by TOF 3D is highly sustainable over a long distance, so its working range is far greater than the TrueDepth camera. The TOF 3D sensor supports a higher frame rate and is therefore more powerful in real-time performance. It is ideal for capturing movement in 3D motion-controlled gaming. TOF 3D consumes less power in the same amount of time. The sensor's magic is enhanced by the powerful Kirin 980 processor, granting the HONOR View20 a myriad of 3D functions. Motion gaming offers more fun and immersion, but was not possible without a gaming console. This now changes with the release of the HONOR View20. Simply connect the phone to a large screen using a dock and a cable, then place the phone so its camera can frame you properly to capture your body information, and you're set to go! While setting it up sounds easy, its R&D was not. 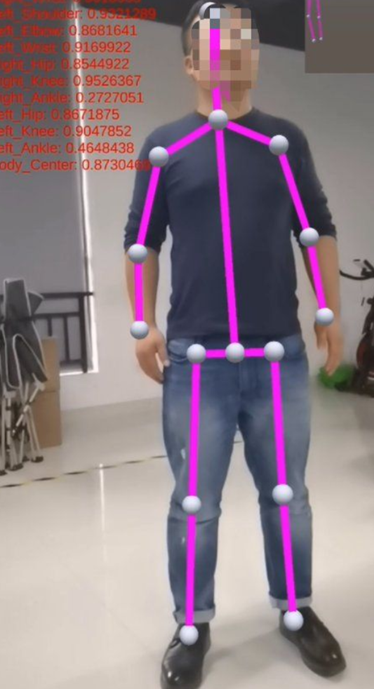 To ensure that the character in the game can follow the player's movements accurately, the HONOR View20 developers wrote a skeletal tracking algorithm, which can identify the real-time location of 15 human joints and calculate the length of bones with an accuracy down to the centimeter level. And TOF Camera is also able to get high-precision body contours data. Then HONOR View20 can obtain the spatial position of different parts of your body, and track their movements and gestures in real time. In a Fancy skiing game, for instance, your arm movements, body swings, and jumps will be accurately identified and transferred onto the screen. In addition, optimizations such as motion smoothing and motion blur/jitter noise removal further enhance the gaming experience. 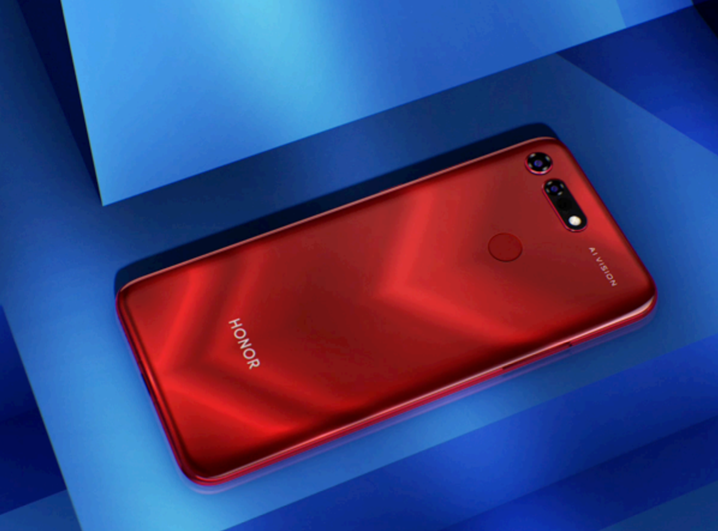 All the computing is expertly handled by the world's first 7nm AI chipset, Kirin 980, which comes equipped with the HONOR View20. Two games are currently supported, Fancy Skiing and Fancy Darts, with more coming in the future. We can't wait to see where the future will take us. Magic AR is another way the HONOR View20 brings together the real and virtual worlds. In this application, there is a function called AR dancing, which adopts the same motion detection principle as 3D motion gaming. AR Dance also incorporates, as its name states, AR algorithms supported by the Kirin 980. They can project a virtual character "next to" you and control it to follow your actions. A Magic AR app has been developed and will soon be available for download. HONOR will release the news once it's officially in the market. In addition to skeletal tracking and real-time motion capturing, the TOF 3D sensor's depth sensing capability also supports 3D Shaping. 3D Shaping is a new feature that reshapes your figure while generating no background distortion, owing to the powerful TOF 3D sensor that can accurately separate the subject and the background. As people become more aware of the importance of healthy living, they're more closely following how many calories they consume a day. However, calorie information is usually available only on food packaging, so how can we obtain the data when we eat freshly made meals? AI Calorie Counting was developed for this purpose. Just open the camera, touch the upper left icon and select Identify, point your lens at the food, and you'll see the data displayed on the screen. There you'll find not only the calorie count per 100g, but also the volume of the plate of dish you're about to eat and the exact calorie it carries. For example, the HONOR View20 can distinguish a large apple from a smaller one and tell you the calorie count of each, without you having to weigh them before the calculation. Sounds magical, right? It's actually again achieved by the TOF 3D sensor and the Kirin 980 AI processor, as well as the 48MP main sensor. The three respectively obtain the food volume, food type, and the exact shape and appearance, which are then used for calculations. The HONOR View20 is just starting to tap into the enormous potential of TOF 3D. More complex, advanced 3D applications will be gradually brought to life on mobile phones, including human body modeling and architecture modeling. As the Kirin 980 has been most credited for its excellent computing power and AI learning capabilities, the prowess of the processor will be one of the most important factors that fuel the coming 3D technologies. This sounds like an amazing phone! Honor is doing some really awesome things right now. Plus, it's a gorgeous shade of red!